We’ve hand-picked our favourite educational toys for toddlers and kids to help them learn while they play. The power of play holds incredible opportunities to help children reach developmental milestones, all while having fun. As parents, an important mantra to keep in mind is that learning and play really go hand-in-hand in the development of our children. Play-based learning helps to develop a child’s creativity, problem-solving and social skills. As a father myself, I am always looking for ways to help my little man learn as often as possible, especially during “play time.” Below are some of the best educational toys Walmart Canada has to offer your little learner. With winter fast approaching it helps to have a cuddly pal to keep you warm while you play and learn. LeapFrog’s My Pal Scout is a learning toy with a personal touch, allowing you to connect him to your PC to learn your child’s name. Connecting Scout to your computer also offers many other customizable learning options such as the ability to add their favourite food, animal and colour. Scout comes pre-loaded with five songs and you can download more online from a list of 30. The learning skills Scout focuses on are first words, early number sense and daily routines. Scout’s friend Violet also offers the same options with a different voice and appearance. The VTech Sit-to-Stand Learn & Discover Table is also a great option for your two-year-old that will continue to grow with them. The two-way learning table features six different activities like making a phone call and reading a book, all designed to be played while on the floor. When your little one grows you can attach the included legs to create an activity table. The six play stations include a book, phone, beads, piano keys, roller and clock for hours of fun and learning. The Learn & Discover table aims to teach numbers, colours, letters, shapes and time concepts through play. If you are looking for more learning play sets, Walmart Canada offers a wide variety of options both in-store and online. Our little ones have a blast mimicking adult behaviours like shopping, so why not harness this learning opportunity with the LeapFrog Count Along Register? In my experience as a parent, make-believe shopping is always a winner. It paves the way for fun, educational, and creative play. The register includes a 20-piece set that talks, sings and counts for your child. The included plastic food items match with the corresponding buttons on the touch screen helping to encourage colour matching and teach the names of fruits and vegetables. Kids can swipe items across a scanner that beeps and lights up as they check out. This toy is also a great way to play and learn early math skills as the toy counts the total number of scanned items. This is a great toy to start learning numbers, counting, and colours. Have fun on your shopping spree! A fun classic that should be a staple in every child’s home is Play-Doh, it’s an excellent way to really let your child’s imaginative play soar. The Play-Doh Fun Tub Playset comes with everything you need for hours of open-ended creativity. The play set features 20 pieces including three stampers, a roller, 12 cutters, and five cans of Play-Doh. 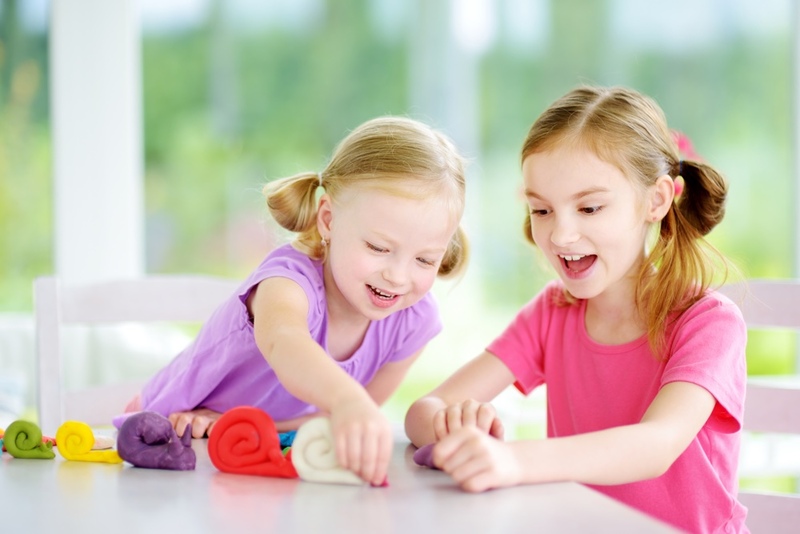 Children really learn a lot from the feel of things and using their hands, Play-Doh can provide many experiences for young minds to grow and explore. I first introduced the play set to my son when he was 3 and the sky was the limit for him, creating shapes, animals and cars. If you are looking for more art based fun be sure to explore the Arts & Crafts for Kids section on walmart.ca to find other activities. The Fisher-Price Think & Learn Code-a-pillar goes beyond simply learning ABCs and 123s offering little learners the opportunity to think independently and problem solve. The robo-caterpillar features a motorized head and eight easy-to-connect segments that move him in different directions. The connected segments make Code-a-pillar go forward, left, right or whichever path your child chooses. This little guy has delivered hours of learning fun in my own household, as we worked together to guide him to his target via different movement patterns. The hands-on learning that the Code-a-pillar encourages will provide hours of fun, discovery-based learning. Get a jump on early reading with the VTech PAW Patrol Marshall’s Read-to-Me Adventure! Marshall reads aloud to your little one from four included stories and sings catchy melodies to reinforce reading comprehension. The Read-to-Me Adventure acts as a great way to build literacy skills from a young age, as new words help young minds build up their vocabulary. The stories Marshall tells explore the themes of friendship and teamwork for some fun and wholesome reading. Marshall and the Paw Patrol will have you “on a roll” with reading! Magformers offer a creative way to foster your child’s imagination using magnetic pieces to build and combine shapes into houses, towers and other forms. The Magformers Standard Rainbow Magnetic Construction Set comes with 30 pieces letting your little learner form geometric shapes like cubes and pyramids to create other forms. Magformers also grow with you as they can be combined and expanded with other sets. Children can transform flat 2D shapes into over 100 geometric 3D structures, learning the basic principles of magnets and design while they play. The neodymium magnets contained within each piece are very versatile, allowing them to be folded, pulled, rolled, and combined in many different ways to keep up with your learner’s budding imagination. Lego sets give your little one the opportunity to build their vision brick-by-brick! The LEGO Classic – Bricks And Gears kit lets your child create moving models with a wide selection of gears and axels that enhance their creative play. The set can be repurposed in multiple ways for open-ended fun. In addition, online instructions are available for guided builds like a helicopter, drill or a windmill. Walmart Canada features a wide variety of building sets to continue to expand your collection, keep building and learning! For these and more amazing toy recommendations for all ages, be sure to check out our new Toy Academy at Walmart.ca by clicking the banner below.